An unusual object has been passed down in the family – a “Spirit of ’76” statue. I had know little about it, even after showing it to three local auction houses, until one day a couple months ago. I believed it had been given to my great-grandfather, Hugo M. Schmitz, by Archibald Willard, the Ohio artist who painted the Spirit of ’76. The two met in the late 1800s and both attended and exhibited at Cleveland’s Art Club, of which Willard was president. The porcelain statue measures approximately 11″ W x 12″ H and is hand-painted. Because of my mention of it in my 2/27/2017 blog post, my image of the statue shows up in a Google search for “spirit of 76 statue,” which may be how a woman in Texas came to contact me regarding her similar statue. What are the odds? The Spirit of ’76 statue owned by the Texas woman, who contacted me in April, 2018. The Bedford Historical Society, in the historic former town hall building, Bedford, Ohio. Additional information had been passed down to the Texas woman by her grandmother regarding her statue in a note which she shared with me. It said that Bailey-Walker China produced a limited edition of 100 of these statues, made of fine china, which sold for $40 a piece at the time, and some retailers offered them for $120. Some of the statues went to Europe. However, now the idea that our statue had been given to my great-grandfather is in question because Archibald Willard died in 1918, eight years before the statue is known to have been produced. Was ours a prototype made years in advance of production? it is signed on the bottom, and the other two aren’t. That would explain things. Or was it given to my grandfather, Warren R. Schmitz, maybe by Mr. Willard’s family? Who acquired it from where, and when? These are questions from the past that are fun to unravel, as I continue to learn about it. Spirit of ’76 statue manufactured by the Bailey-Walker China company, owned and on display at the Bedford Historical Society, which I visited in April, 2018. The grandmother’s note also said that when those who possess the statue are known to each other it is hoped to cement a very warm and lasting friendship. So far we know there are two in Ohio and one in Texas! Are there any more out there? 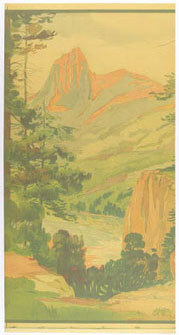 Sierras (1913-14) by the Schmitz-Horning Co., Cooper Hewitt, Smithsonian Design Museum. Have you been to the Google Cultural Institute? The Google Art Project section is a diverse collection of art, and there are Historic Moments and World Wonders sections to explore too. The art is searchable by collections, artists, artworks, and user galleries. In my search on information regarding my great-grandfather’s wallpaper and mural business, the Schmitz-Horning Co., I found four of the company’s mural art samples in Google’s Art Project, which are in the Cooper Hewitt Design Museum at the Smithsonian. 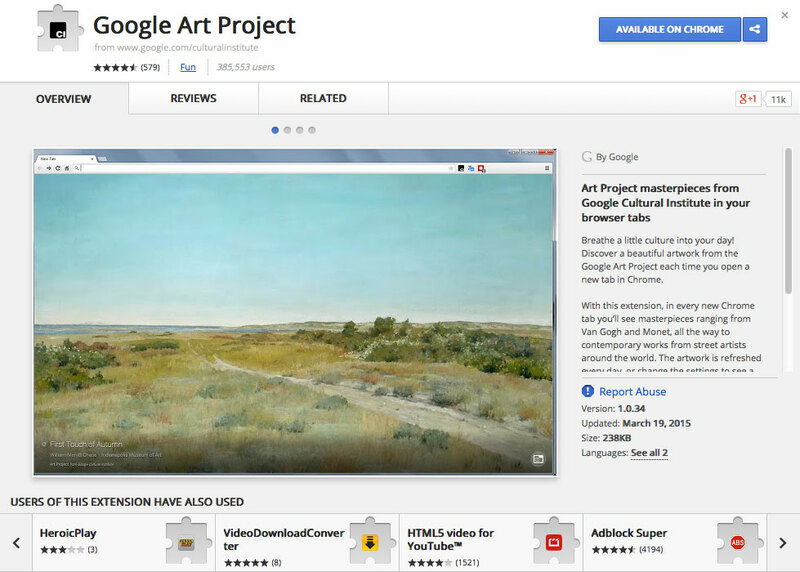 Google Chrome browser has a Google Art Project extension which adds a tab that is refreshed everyday (hourly according to one source) with art masterpieces. You can learn more about the image or download it to use on your computer desktop! The Google Cultural Institute also enables you to create your own galleries and share with friends. There is also a Featured section of exhibitions and collections. A couple I viewed were the Struggle Ink Exhibiton of public poster art and the Art Gallery of New South Wales. If you need inspiration or to brighten your day, visit the site! Links in the header allow you to take a tour or watch a video to get started!